Whenever I talk about breastfeeding, I will always start off with, I did not breastfeed my children, I was not raised around it, and never actually knew anyone back then that did it either. So, that being said, I am no expert, but I am a huge supporter of it now. 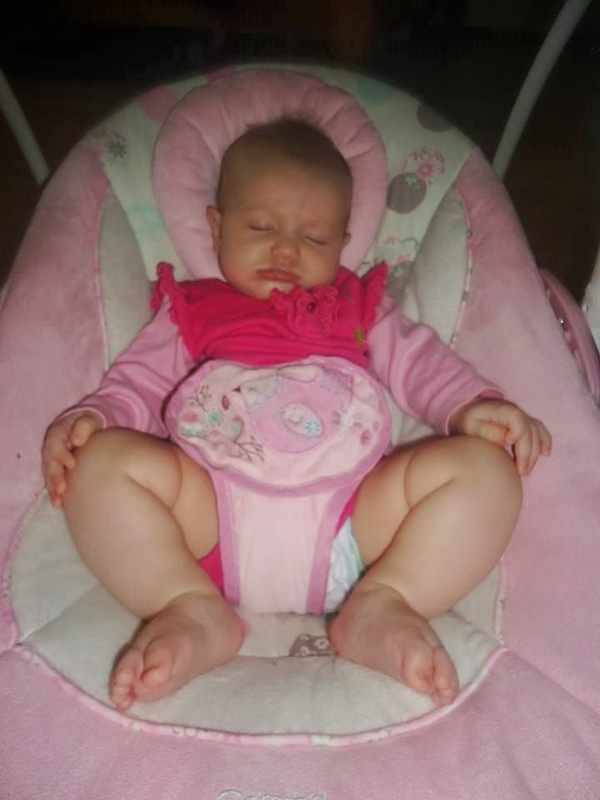 And the following picture will show you why...this is my 5th grandchild, Brylee Jade, she is a huge success story for breastfeeding! And obviously, she is fed well, lol. My daughter has read everything she can find on breastfeeding, and she tells me all that she learns, which is a LOT, and we talk on the phone every day at least once, as well as seeing each other a few times a week. She also made sure that Brylee's Pediatrician, is a lactation consultant as well. So, my daughter takes supplements, and adds everything into her diet that the pediatrician recommended, to increase her supply. Such as Fenugreek, Brewers Yeast, coconut water, flax seed, steel oats, almonds and almond milk. Well, her supply is so good, that in between feeding her very demanding daughter, she pumps, and freezes her milk. Once she got to a certain amount, to where she knew that she had a good supply for her daughter, in case it was needed, she decided to join a group called Human Milk 4 Human Babies here in Virginia. Now she is donating her extra supply to mom's who need it for supplementing! I am so proud of her! And apparently they have these groups all over the country. Now some of the things my daughter has learned, really caught me off guard. As in, the different uses for breastmilk. Like today, when I woke up with an earache, a bad one, after fighting a horrible cold all week, my daughter made sure she mentioned that breastmilk is a natural antibiotic and is very good for earaches. 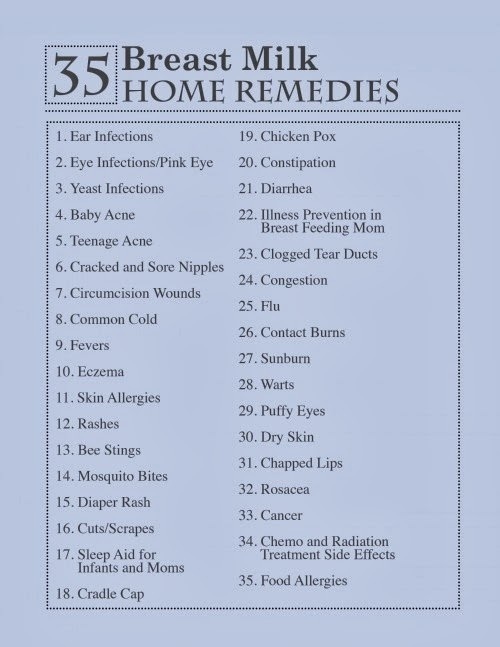 I will admit, I said I would try some homeopathic drops she had first, and if I couldn't get my ear to feel better, we would consider the other option, lol. I am truly not wanting to put my daughter's milk in my ear! 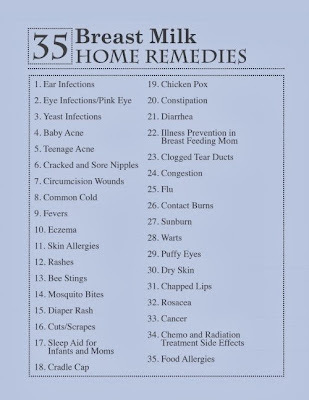 But, she did share this list with me, that has a crazy amount of things listed that breastmilk is supposed to be good for, and I have to say, that when our Brylee had a horrible rash on her face, my daughter made a lotion from her breastmilk and used it on her, and it cleared up really quickly! Do you see what I mean? This is amazing to me...if breastmilk is good for this many things, it absolutely HAS to be good for our children! 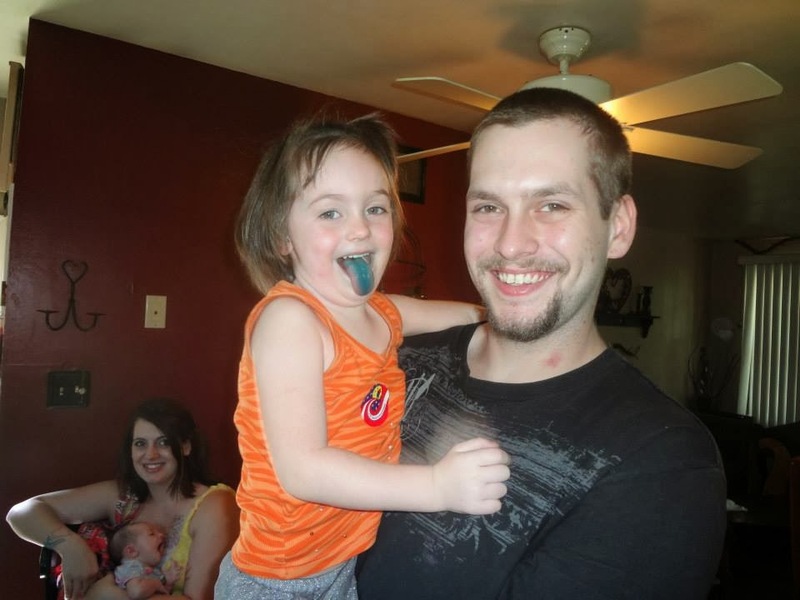 Now, the next picture I am posting, is of my son, and our 3 year old granddaughter, Audryna. None of us noticed anything funny about it, until after I had posted it on Facebook. See if you can find what I am talking about, that made us all laugh hysterically!